​For questions/comments, contact Ada Chang at adachangel@gmail.com. 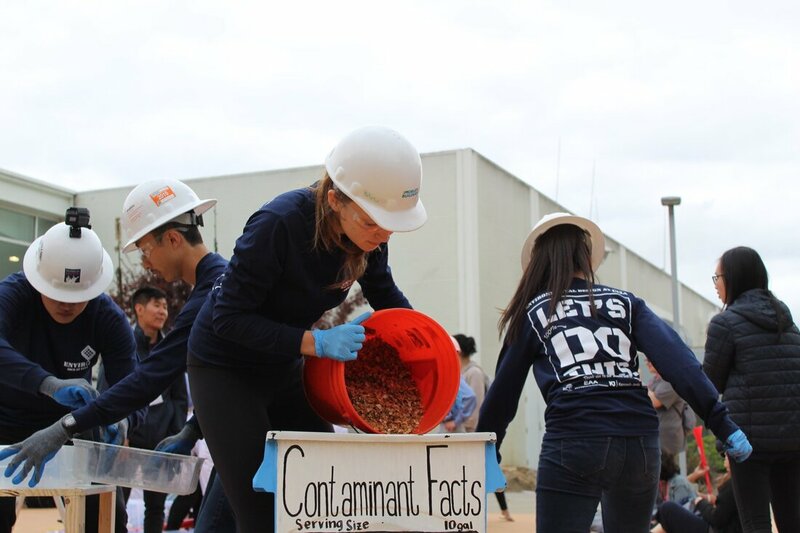 What: Students will get a short introduction to water and wastewater treatment. They will also partake in a hands-on experiment involving coagulation and flocculation. For questions/comments, contact Thien Phan at thienp96@gmail.com. What: Ever wonder how skyscrapers stay upright? Or how tunnels are built? Come learn about geotechnical engineering with GeoWall! Students will enjoy a short presentation on geotechnical engineering and be taken on a tour of the soils laboratory. They will then get to practice building their own retaining wall out of paper-bag paper and test it to see if it can hold back 500 pounds of sand. For questions/comments, contact Trini Inouye at trini.inouye@gmail.com. What: UCLA Construction Management and the ASC 67 Project invites and welcomes you to join us to learn about the fundamental concepts of construction management - scheduling, cost estimating, and site logistics planning - and their applications. You will also learn about the different types of disciplines within the construction management industry that include, but are not limited to, Design-Build, Mixed Use, or Sustainability. Join us to explore and learn the basics or to refine your skills and put them to the test! Access to SEASLab and Bluebeam requires a SEASnet account. Please sign up for a SEASnet account online or in person at Boelter Hall 2684 prior to the workshop. For questions/comments, contact Cheston Cheung at chestonc@g.ucla.edu. 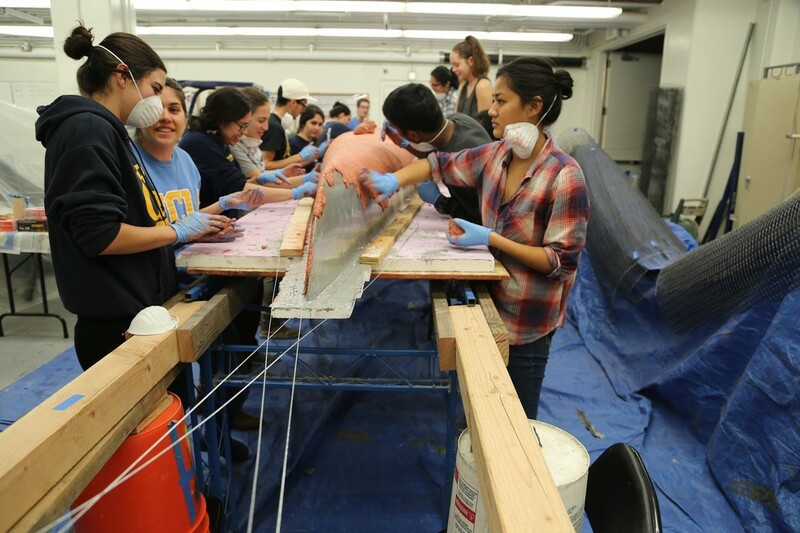 What: In our workshop, Seismic Outreach and Design will be going over the fundamentals of earthquake engineering, an essential aspect of our respective projects. We will have attendees build their own model skyscraper structures out of K'NEX and tear them on our shake table in the structures lab. This the same challenge that we give to sixth grade students on our school visits and is similar to challenge that the Seismic Design team competes in. What: Interested in learning the basics of AutoCAD? We will go over the basics of navigation, selection, drawing and snap tools. You will come out of the workshop with your very first engineering drawing! A more advanced homework assignment will also be assigned. Access to AutoCAD is required. Please download AutoCAD for Windows/Mac onto your computer (http://www.seasnet.ucla.edu/autodesk-software/) or sign up for a SEASnet account (online or in person at Boelter Hall 2684) prior to the workshop. What: In this workshop, you learn two basic skills of surveying, taping and differential leveling. We will meet at the lounge and go somewhere on campus to practice both of these skills. Differential leveling utilizes tools in order to determine the vertical distance between two points, while taping determines the horizontal distance between two points. Each participant will get hands on experience using each method. For questions/comments, contact Glynn Baca at bacaglynn@gmail.com. Sign up for a workshop here! We hope to see you soon!